Using e-procurement to help educational organizations—and individual students with special needs—captured the spotlight at the recent SAP Ariba Live conference. Katie Swingle is a warrior mom. Not the kind that serves in the armed forces, but one who battles for her children. Like most moms. In this case, Swingle has charged forth to fight for her autistic son’s welfare and found resources that can help children with special needs learn and grow. Swingle will get an assist in her quest later this year from an unexpected source: SAP Ariba and its online, cloud-based procurement network. Like the educational institutions her son attends, she’ll be able to order textbooks and other supplies, and also pay for tuition. Her presentation provided a stand-up-and-notice message supporting SAP Ariba’s running conference theme about social responsibility, particularly pointing to how its network can help track and trace products to their source, to determine if they are produced by forced labor. The network’s efforts can help inform suppliers and meets the growing interest among buyers to know where their products come from and if the production methods are socially and environmentally friendly, the company says. 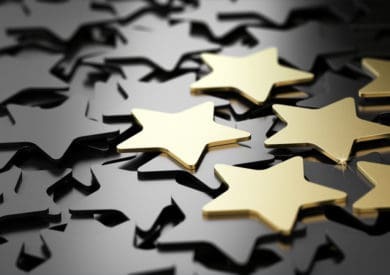 Ariba has been publicizing such “responsibility” efforts in recent years, a strategy that can help it stand out among an expanding and improving community of such procurement network and software providers as Coupa Software, Jaggaer and Basware. At Ariba Live this month, it also spoke of its collaboration with EcoVadis, which rates suppliers on their sustainability programs. And in the past year, it has announced such efforts as donating proceeds of procurement operations to hurricane relief efforts, participating with nonprofit organization Samasource to push for fair labor practices in global supply chains and cooperating with Australia-based Muru Office Supplies to support economic development among Australia’s indigenous people. The story of the Swingles complements these earlier efforts. Swingle and her husband Matt have traveled a long road, beginning with the task of getting therapy and other resources for their son, Gregory, in the face of early bleak predictions from doctors that he would never learn to talk or be able to attend public school. Nonetheless, the Swingles pressed ahead, and spent years preparing Gregory to attend kindergarten. But after his first week in school, their efforts came to a screeching halt as it became apparent Gregory needed a more supportive educational environment. Help came from multiple quarters, led by the Florida Tax Credit Scholarship Program, designed to help provide education for special-needs and lower-income students, and from Step Up for Students, a nonprofit organization that helps run the scholarship program. The program is funded by corporate donors and the state-funded Gardiner Scholarship Program, which provides up to $10,000 for each eligible student in Florida from kindergarten to grade 12 for tuition, therapy, and equipment and other supplies. Further assistance came from SAP Ariba and business partner Premikati, a consulting firm specializing in procurement and supply chain technology. SAP Ariba, a unit of business software company SAP SE, and Premikati developed an online network that provides schools, students and parents in Florida access to services and financial support through Step Up for Students. Parents with children that qualify for the program soon will be able to log into a portal on the Step Up For Students website and use the MyScholarShop marketplace to purchase services, textbooks and other school supplies, said Jonathan Beckham, vice president of technology innovation and strategy at Step Up for Students. The Step Up for Students marketplace on SAP Ariba will initially serve approximately 10,000 Gardiner Scholarship students in Florida, SAP Ariba says. Step Up for Students also makes marketing materials and other supplies available to schools to publicize the services they provide to students with special needs. Once the marketplace is live later this year, it will streamline for both the Step Up for Students organization and participating schools and parents the process of acquiring products and services, replacing a time-consuming, paper-based process that has relied on “stacks of forms” families have used to apply for scholarships and learning materials, Beckham said. By automating the application and disbursement process, Step Up for Students and the SAP Ariba Network have combined to “save my child’s life,” Swingle said. The new system removes the step requiring the Swingles and other families to pay for the program and supplies up front and then wait for reimbursement. Will the Pentagon favor Amazon for technology procurement?